Marina Monsisvais is the Owner of Barracuda PR and has over 12 years of experience working in public relations, including special event coordination and promotions. She’s built strong relationships throughout the El Paso/Juarez community that have proven to be a strong asset, as public relations is all about building relationships and providing content in a manner that is fresh and relevant. It’s through her confidence in her ability to produce effective public relations and social media strategies that she decided to strike out on her own to establish Barracuda PR in 2010. 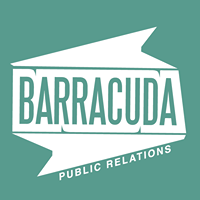 Although Barracuda is a relatively young company, Marina is well established in the El Paso community as the go to public relations and social media professional. An excellent writer, Marina provides media outlets with clear, concise content that is readily adaptable or that makes it simple for reporters to use as a springboard to a larger story. Marina works with her clients to develop PR strategies that make sense for them and works with Alejandra Munoz to execute them.